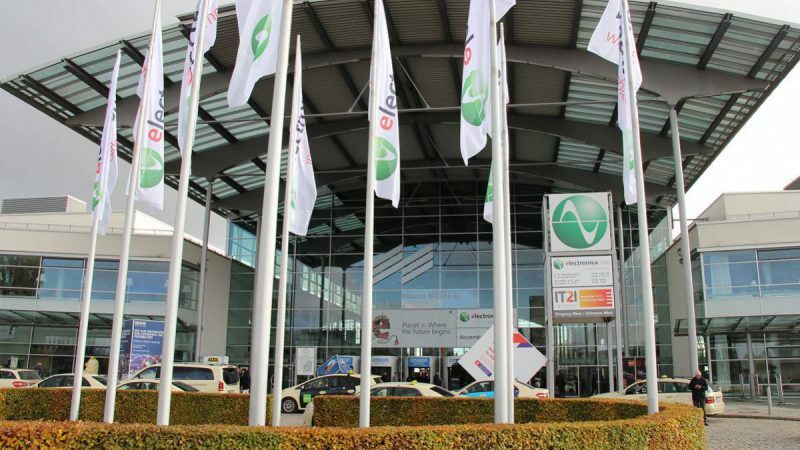 Only one day left until electronica 2016 will be closing its doors again. Three days of intensive talks with customers, partners and prospets on our booth and in the EBV lounge area are already over. Panel discussions, press conferences and expert speeches took place. 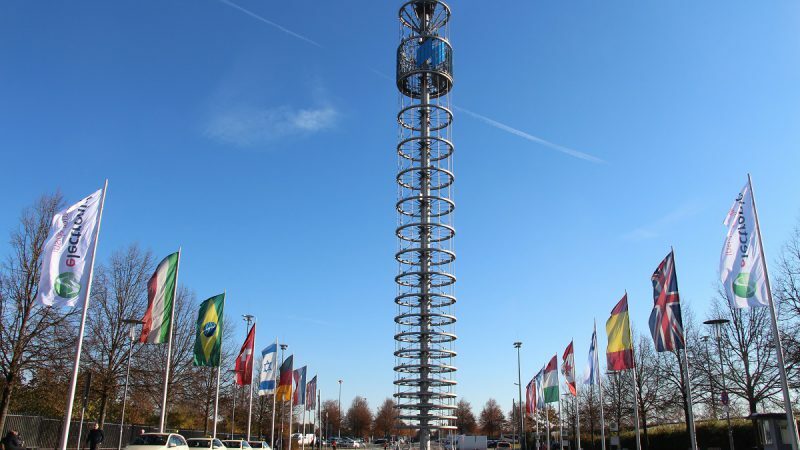 Here are the today’s hot topics from the International Congress Center in Munich. 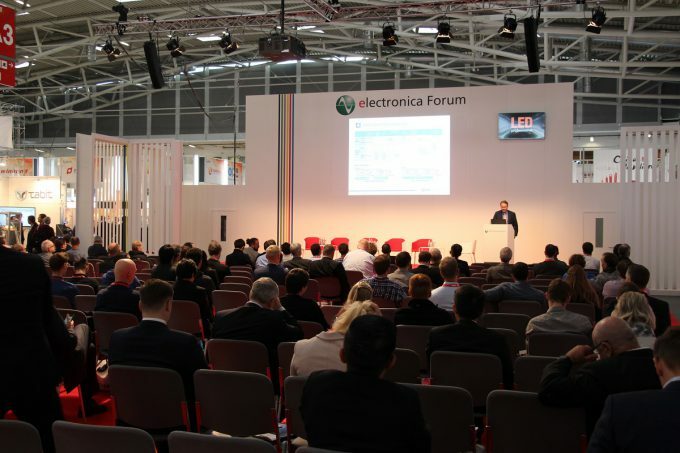 Already in the morning at 10 a.m. an interesting speech took place at the electronica Forum in hall B5/343. Dr. Johannes Breitschopf from Infineon Technologies and Frank-Steffen Russ, EBV Director Segment Automotive & Hi-Rel, entered the stage to talk about “Smart Power for Smart Vehicles” (Decentralized Power Distribution Architectures for Efficient Automotive Designs). As the electronic vehicle market continues to grow, the need to effectively manage the power supplied to electrical loads increases as well. Different component will be needed in order to fulfil new requirements. 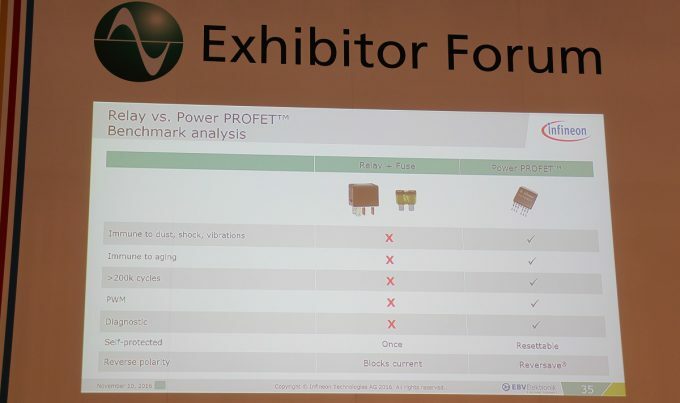 Infineon Technologies offers semiconductor products like the Power PROFETTM to replace classical relays. Power Net Management was covered in the presentation as well. Start/Stop systems create new challenges for the power net, which needs to be stabilized during the Start/Stop phase. Solutions like Q-Diode, Battery-to-Battery Switches or DC/DC converters can be supported with Infineon devices. In the afternoon, the focus then was on lighting during the LEDprofessional Solid State Lighting Forum, where the EBV Director Segment Lighting & Optoelectronics, Sebastian Hülck, gave interesting insights into “Methods and Concepts for Optimised LED Drivers”. During his 45-minute speech he also took the audience on a journey into the future world of the Internet of Things. He outlined how lighting solutions can contribute to the concept of Smart Cities, also mentioning connectivity technologies like LoRaWAN that help realize solutions like the inteliLight street lighting management system. 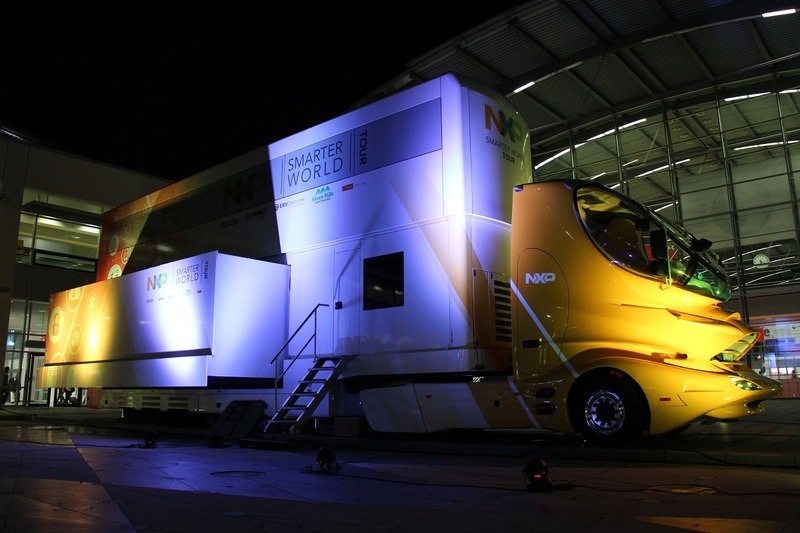 Another highlight of the world’s leading trade fair for electronic components, systems and applications we did not mention before, although it has a prominent spot already during the entire exhibition: The NXP Semiconductors IoT Truck. On its “Smarter World Tour” across different countries in Europe, during electronica 2016 it is open for all visitor. As we already mentioned in earlier blog posts, there’s plenty to discover inside of the futuristic vehicle. Over 150 demonstrations dedicated to the Internet of Things can be marvelled. Among them are EBV solutions like the MAREN reference design platform for IoT applications offering MEMs sensors (motion, environmental), connectivity (BLE and NFC) or sensor processing algorithms (sensor fusion). 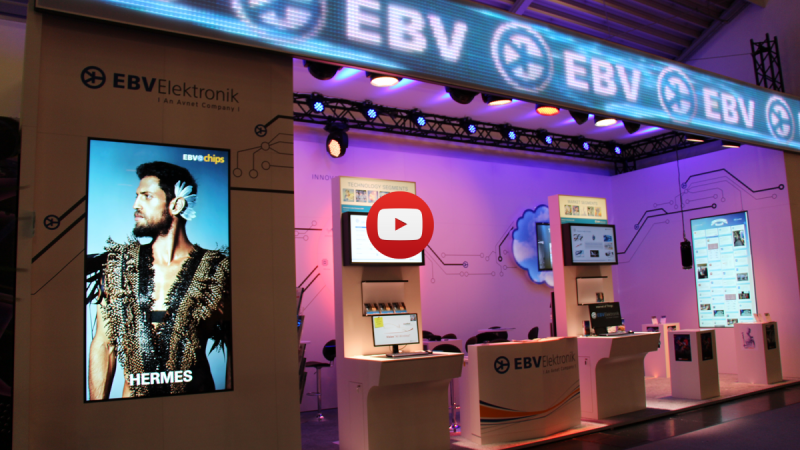 It was again a huge amount of impressions we experienced during the third day of electronica 2016, and we are already thrilled about what the last day has to offer tomorrow. Stay tuned! Meanwhile use the time to reach out to us and contact us with your questions and concerns here. Social Media Manager posting about company news, events and technology trends. 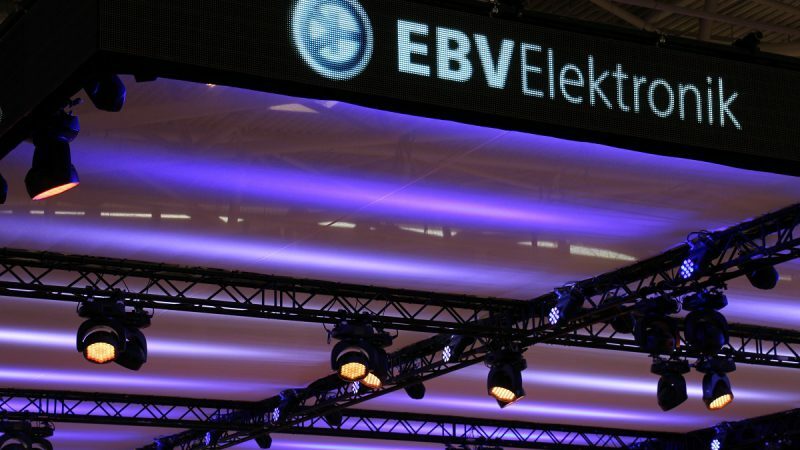 Follow EBV Elektronik also on Facebook, Twitter, Instagram, YouTube or LinkedIn.